Oh wow. 2013 has been a great reading year for me. In 2012 as part of my GoodReads challenge I read 75 books. I set that as my goal for 2013 as I knew I'd be happy to match that again. I've already hit the 75 books and moved on to an 85 book goal. A few days left and only 1 book to go, definitely think I'll hit that. I can't believe it! So I thought I'd share with you my favourites from the year. They aren't in any particular order as I'm so bad at doing things like that. 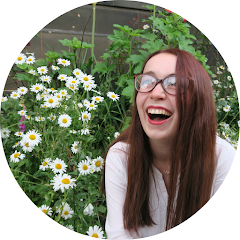 If you would like to add me as a friend on GoodReads(please do!) then you can do so here. Where'd You Go Bernadette by Maria Semple This is an absolutely amazing novel. It's made up of emails and letters collected by Bernadette's daughter after she goes missing. It's got a very quirky writing style. If you liked The Hundred Year Old Man Who Climbed Out Of The Window And Disappeared then you'll like this because they have similar styles. Bernadette was a character that I both loved and hated and I think that's a real writing skill. Cinder by Marissa Meyer This is a retelling of the fairytale Cinderella set in Beijing(where the original fairytale is actually from). Probably the main twist is that Cinderella is a cyborg and a mechanic. Pretty interesting. The big hunk in the story, Prince Kai, meets Cinder when he asks her to fix one of his robots and from then on their always bumping into each other. There's a mysterious plague going around and it's killing Kai's father, Cinder is resistant. Can they help each other out? There's a second book to this series, Scarlett, and I can't wait for book three to be released in 2014. 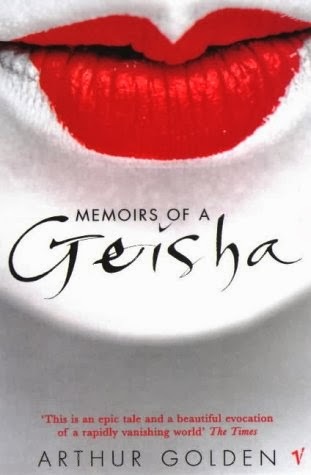 Memoirs of a Geisha by Arthur Golden I have to admit that at the start I found Memoirs of a Geisha to be an extremely difficult book to read. But then everything clicked and I became addicted and I couldn't put it down. This is a fictional story about a Geisha, Sayuri, in one of the largest Geisha Districts during world war 2. I've never really read much about Geishas before so the little details that this book included really interested me! I'm not sure how accurate this book is as I've heard a few people criticise it in that way but if you're looking for a nice little read and you aren't a Japanese history buff then I'd recommend this. It would be a good book to take on holiday as it deserves a lot of attention. Eleanor & Park by Rainbow Rowell This was the first book I ever read by Rainbow Rowell, I've now read all of her books and she's one of my favourite authors. Eleanor & Park took the online book community by storm this summer and I can absolutely understand why! This story is set in the 80s and follows two teenagers. Park is one of the popular kids but being half Korean means he doesn't really feel he fits in with anyone in what is still a pretty racist society. Eleanor has a really difficult home life, her stepdad is absolutely horrible and abusive and all of her siblings sleep in the same room as her and share beds. They start to sit next to each other on the bus to school and bond over the comics Park reads. It's a very touching little story. The only thing I disliked about this was the ending. No spoilers, but it was sad! Shades Of Grey by Jasper Fforde Not to be confused with 50 Shades of Grey, Shades of Grey by Jasper Fforde is a dystopian novel where people are valued by their perception of colour. This was really interesting. It was so totally unbelievable in a sort of jokey and quirky way and to me, that was what made it so interesting. The two main characters were really funny and I quickly fell in love with them. It's like 1984 on crack, in a good way. The Knife Of Never Letting Go by Patrick Ness This is the first book in the Chaos Walking Trilogy that I absolutely fell in love with it. It's set in a future world where a virus has killed off all of the women and left the men able to hear one another's thoughts. One day the main character, Todd, finds a patch of silence which it totally unheard of(no pun intended) in their world. This leads to a series of events that make him question everything he's ever known. This series really explores the ideas of war and the effect that it has on those involved. I would really recommend reading this! Amy & Roger's Epic Detour by Morgan Matson Ok so this book really isn't going to win any literature awards any time soon. It's a very typical summer romance book. Quite soppy and a little bit unbelievable. But despite all that I still loved it. Two teenagers take a road trip across the US and it's their little stories from all the places. What I liked most about this is that Morgan Matson actually took this road trip herself and has added things like photos, receipts etc into the book. It's those little touches that made me fall in love with it! 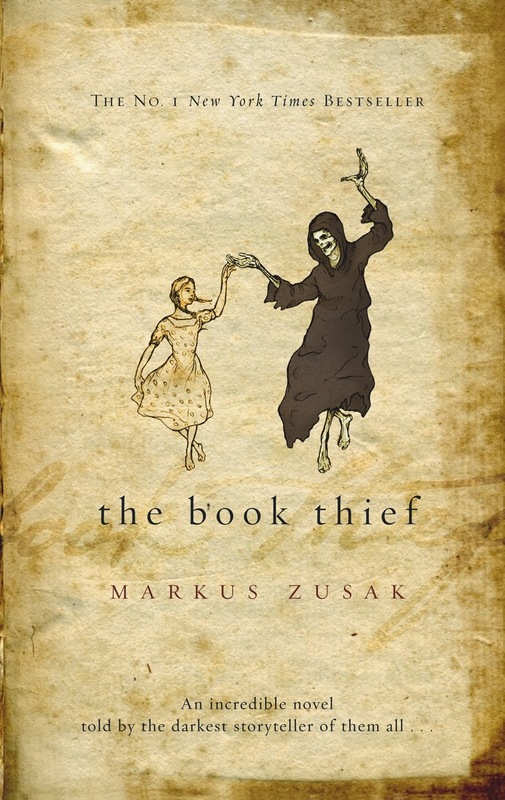 The Book Thief by Markus Zusak This book is set in Germany during world war 2 and is narrated by Death. Sound interesting right? A young girl Liesel is sent to live with a foster family because her father is a communist and her mother fears for her safety. Her new family are really great people, I fell in love with the father. Liesel is made fun of because she can't read and he starts to teach her how to by painting on the walls of their basement. It's a very touching story and I can't really say much without spoilers but at one point a jew turns up at their door asking for sanctuary and it changes their lives completely. If you're going to read any of these books, make it this one. The Aquariums of Pyongyang by Kang Chol-Hwan Well this certainly was an eye opener! In this book the author recounts his experiences inside North Korea, including in one of their labour camps. It was absolutely harrowing at points and just made for a really interesting read. North Korea absolutely fascinates me so I loved this little insight to life there. I can't believe that things like that actually go on in our world today and I look forward to North Korea's inevitable collapse. I really liked this. If you would like to donate some money then I would really recommend donating to Liberty in North Korea. They help North Korean defectors escape China(China and North Korea have this deal that if they find any North Koreans in China they get shipped back) and is a really great cause. Or just go have a look at their website, it's very inspiring. The Night Circus by Erin Morgenstern This is one of the the most captivating and beautiful books that I've read, ever. You know when you read a Harry Potter book and the descriptions are so beautiful and you feel like you're really there? Same with this. It's about a mysterious black and white circus that travels around the world and is only open at night. You get to find out about the people in the circus and their backgrounds and the people who follow it. Two members of the circus are sealed together in a pact where they are each trained in magic for a duel. But neither of them know it's each other. How will this effect the circus? Divergent by Veronica Roth I don't really want to go on and on about Divergent as I'm sure you've all heard about it. It's set in a dystopian world where everyone is split into five 'factions'. It's 2013's answer to The Hunger Games. Loads of people love it and it's easy to understand why! Why We Broke Up by Daniel Handler and Maira Kalman The title of this book is a bit misleading but it's actually a really great book. It's written in the form of letters to the narrator's ex boyfriend. She's returning a box of all the things that remind her of him and each item has an illustration by Maira Kalman and a letter from Min explaining a little story behind it. To be honest they seem like a very mismatched couple and I think Min made some pretty crap decisions that didn't make sense to me but I still enjoyed reading this all the same! 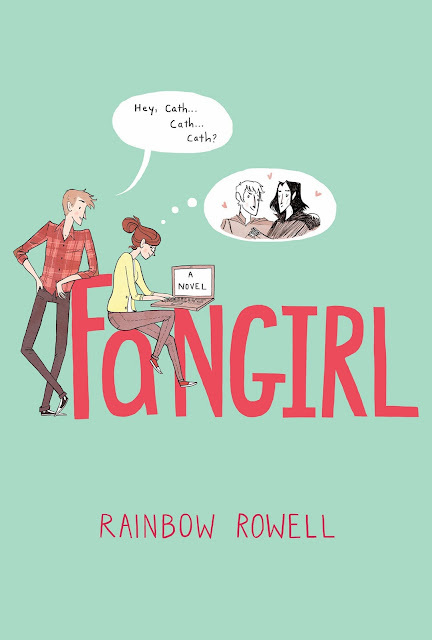 Fangirl by Rainbow Rowell I read this book very recently on my kindle and, oh, my god. This book is so perfect. If you're looking for a 'feel good' book then this definitely is the one for you, it's adorable. The story follows a girl Cath as she settles in at college. Cath is a bit socially awkward and is really struggling without her twin sister. She also writes one of the most popular fan fiction series for this world's version of Harry Potter. It shows how she changes a little bit over the course of her first year at university and most importantly, how she starts to accept who she is. There's also a little bit of romance in there too. For the awwwww factor. What books do you recommend I read in 2014?